Although not in the frontline technical or popular press, a critical element in reaching space beyond Earth is establishing the space infrastructure around the planet Earth. The concept of this infrastructure as a train marshalling and switching yard is appropriate. The rail control center serves as a center of operations for switching, long-haul train assembly, transfer of goods, refueling and repair. Likewise the orbital stations serve as centers for switching payloads between carrier and the required orbit, long-haul space exploration vehicle assembly, transfer of goods to human habitats and manufacturing facilities, and return, refueling and repair coordination. This is no trivial activity, and it will take a commitment as dedicated as the Apollo program to achieve. In a step-by-step discussion we will document the resources necessary to supply what is needed by this space infrastructure as a function of the propulsion systems. 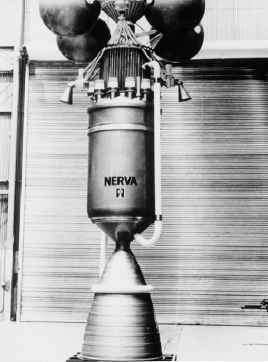 Chapter 4 shows there are propulsion systems with which we can effectively build reduced oxidizer-to-fuel ratio launchers that are lighter and smaller than conventional expendable rockets. In fact, the remotely powered, directed electromagnetic energy system of Professor Leik Myrabo requires even less carried onboard propellants, a huge advantage in resource-absent space. As long as the principal launchers are expendable launchers for military and commercial needs, the available payloads will be those suitable for infrequent, expendable rocket launches. In the context of Chapter 2, the payloads will remain consistent with Conestoga wagons until there is an operational railroad. Until a sustained-use launch system is operational, the payloads that warrant a high launch rate system will remain the subject of design studies only. Until sustained-use launch system is operational the flight rate is insufficient to build the global space infrastructure needed to support space operations. If the Space Shuttle main propellant tank was slightly modified to permit its use as a space structure, like S-IVB, an infrastructure might begin to build [Taylor, 1998]. However the Shuttle main tank is intentionally crashed into the ocean, wasting a valuable asset.